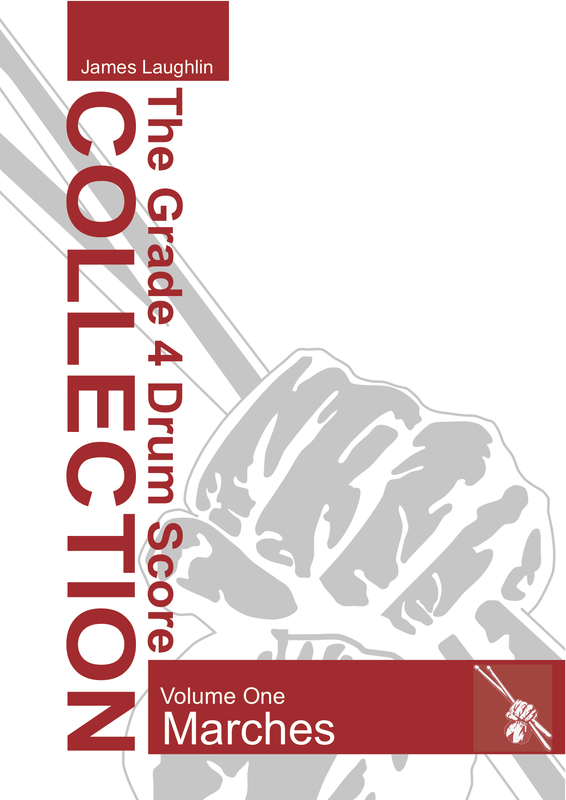 You can now get your hands on the Drum Score Collection for Scottish Snare Drummers at the Come2Drum pipe band drum studio. All current members get full and free access to this material as well as all of the the current educational and multimedia material included in the studio. You can get access to the Worlds largest library of drum scores for Pipe Band Grade 4 Marches that can be played by almost any Scottish Snare Drummer who possesses the fundamentals of Scottish Snare drumming. Some of the most popular pipe band Marches are featured in the book including : Scotland The Brave, Teribus, Cabar Feidh, Green Hills of Tyrol, The Black Bear, Blue Bells of Scotland, Bathgate Highland Gathering, Corriechollies, Dornoch Highland Gathering, Flett from Flotta and many many more. Also – the book includes scottish drum settings for the RSPBA MAP scores. Access to the studio provides the user with the full Scottish Drum Lesson Video Series, The Guide to Pipe Band Drumming Books, The Pipe Band Drum Score Collection and many other scores. Check out full details of the Scottish Drumming Studio. It’s simply the best place for learning the Scottish Snare drum, and by far the best value. Pipe Band Drumming Music – and why it’s so important to be unique. Have you ever wished you could just get a pipe band drum setting for a pipe tune your band is playing? Or have you ever hoped you could get your hands on a pipe band drum score for a cool solo tune you want to perform at a highland games? Well, like the rest of us pipe band drummers, you are in the same boat as us. It seems that being a bagpiper is easy – after all, they have a plethora of music books to choose great music from : Old and New! However, being a pipe band drummer comes as a challenge. Each leading drummer likes to establish his or her own “Style” of drumming, and likes to stamp their authority on it musically and technically. This means they have to take the time to compose a finely crafted drum setting to compliment the bagpipe tune. Often, bagpipers will ask me, why do drummers not just have a “set” pipe band drum setting? Well, it’s a great question. It really would be fantastic if we had a generic pipe band drum score for every scottish bagpipe tune. However, it would really smother the creativity and passion of pipe band drumming music. Each Scottish snare drummer is able to express their interpretation of the bagpipe melody. Many drummers are territorial when it comes to their music, their style and ultimately their scottish snare drum score. Around the highland games, and pipe band contests I have often overheard drummers criticising or bashing other pipe band drum scores. To be honest, I think it is really important to embrace the individuality of each pipe band drummer and their chosen style. For example, I personally love listening to SFU pipe band, Shotts and Dykehead, Field Marshall Montgomery and St Laurence O’Toole. However, each of these pipe band drumming styles is EXTREMELY different. Jim Kilpatrick, Reid Maxwell, Keith Orr and Stephen Creighton all have unique musical styles and drum settings. However, they are all equally interesting and refreshing. How boring would it be if we all had to play one style? It would be fair to say that Pipe band drumming music has been shaped by a handful “pipe band legends” over the past 100 years. Alex Duthart, John Seton, Alex McCormick, Bert Barr, Bobby Rea, Paul Turner, Harold Gillespie, Jim Kilpatrick, Reid Maxwell, John Scullion and Joe Noble to name a few. All of these pipe band snare drummers have influenced todays style. I would have to say that my own pipe band drumming “style” is heavily influenced by a mixture of drumming mentors. I thoroughly enjoyed listening to many of the Worlds best pipe band drummers as a youngster. Little did I know at that age, that I was absorbing their style and expression into my subconscious memory. Today, I often get remarks from listeners that my drum scores remind them of one drummer, and another bystander will say they get flashbacks of a totally different drummer from years past. Many people contact me asking for pipe band drum scores for settings. I have managed to build up a very extensive pipe band drum score collection throughout the years. I also get many people asking me to transcribe scores from a top band that they heard on a CD – I really enjoy composing – it’s almost therapeutic! Nowadays, pipe band drummers have lots of great tools at their fingertips. 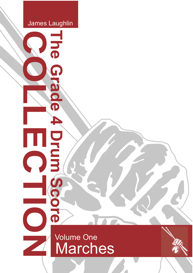 You should check out the amazing pipe band drum scores with the links below. Whatever you do – embrace all of the pipe band drumming styles and enjoy them for what they are. A Northern Ireland Drummer, Simon Black, reviewed my most recent drum score collection. Thanks Simon! “James!!! Seriously man, this new book of Marches is insanely good! So many of the tunes that originally hooked me on pipe bands are in there (along with some that are completely new to me), and those scores that you have penned really just lift them, bringing even the most simple tunes alive. The sound bites really help too! I have been picking up these tunes quicker than ever before! Win a Premier HTS 800 Scottish Snare Drum – Silver Sparkle. Have you ever wanted to own your own Scottish Snare drum? Have you ever wanted to have a really flash-looking solo drum? Well now is your chance. Come2Drum.com is offering you the chance to win the drum pictured below, it is a Silver Sparkle Premier Percussion HTS 800 Snare Drum. It has diamond chrome metalwork, with some of the best features a drum can have. Come2Drum is putting all of its Studio members into the prize draw, to be drawn in January. So if you sign up for a one year membership (only $99 NZD), you will get access to professional Scottish Drumming Instruction Videos, Scottish Drumming Audio Lessons, The Complete Guide to Pipe Band Drumming Collection, Scottish Drumming music AND the chance to win this beautiful Snare Drum. Check out the website to find out more, or get your membership today and be in to win!